September 30, 2016 was the best day of my life thus far. 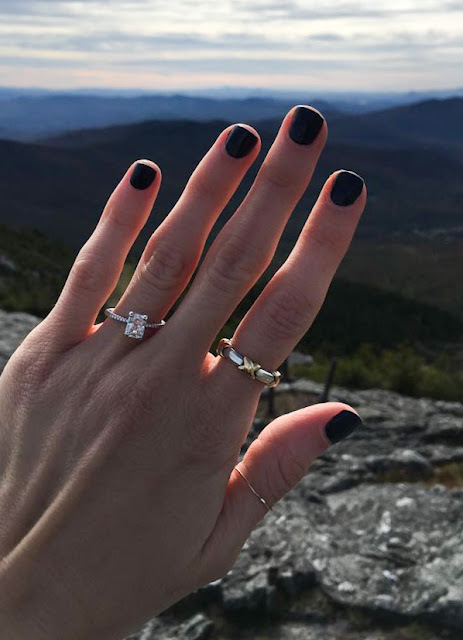 My best friend asked me to marry him on the top of a mountain! We were on vacation in Vermont with my parents and hiked Jay Peak on our first morning there. It was 1.7 miles to the summit, and about three quarters of the way up, Greg and I went ahead of my parents to try to see the view before the clouds rolled in. Once we made it to the top, the view was absolutely breathtaking - 360 degrees of mountains from Vermont, New Hampshire, New York and Canada! We climbed up to the summit and took a few pictures of the gorgeous landscape. Greg found a little bench so we snuggled in the cold wind for a few minutes waiting for my parents. When they got there all of us were taking photos together when Greg said he wanted to take a picture on a rock in front of the mountain range. So we made our way down to the ledge and Greg went to set his backpack behind a rock. He pointed out the tram going down the side of the mountain and by the time I turned back around, he was down on one knee! I cannot even begin to describe how I felt in that moment - it was so surreal, it takes my breath away every time I think about it. 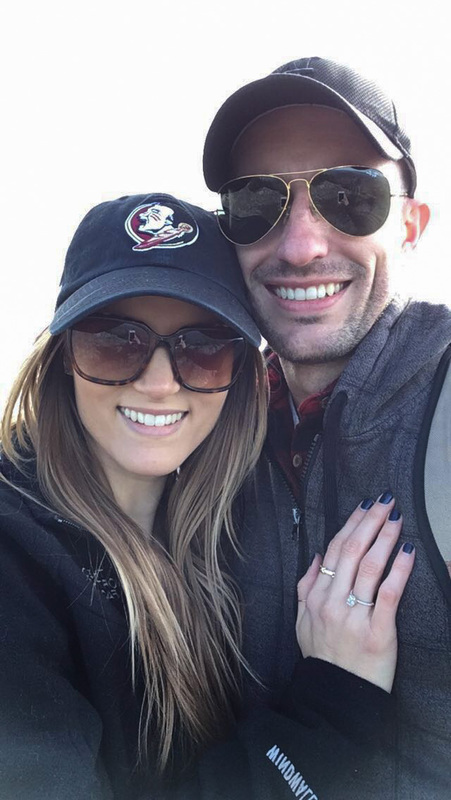 He pulled off a huge surprise since I was expecting it to happen on our anniversary trip in November, so I was totally shocked! Of course I said YES!!! It was such an amazing moment, and made even more special by the fact that my parents were a part of it! It was so great to celebrate with them and my family in Vermont all weekend! Almost a week has passed and I still feel like I'm living in a dream. Greg and I could not be happier and want to thank everyone for their well wishes and congratulations, it means the world! So happy for you two!!!! This is amazing!!!!! OMG!! Sooooo happy for you!!! That is a gorgeous ring and you both looked so lovely and happy that I am glad you finally are taking the next step! I could still remember my own engagement from my now hubby too, and it was too surreal. You sort of wait for that moment and when it does happen, it still takes your breath away! Best wishes to you both!! Ahh congratulations dear!! That's amazing news! Such a SWEET story, lady! So happy for you + congrats! That proposal spot is unbelievable!!! Congrats!!! First things first; Congratulations on your engagement! 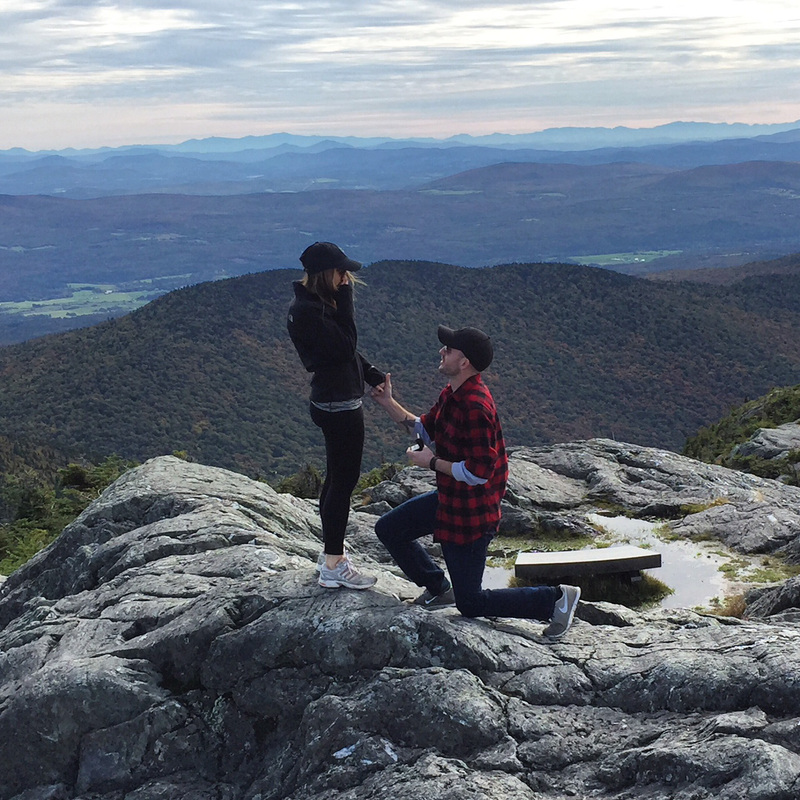 What a place to propose! That photo is absolutely beautiful with the mountains behind, simply amazing! 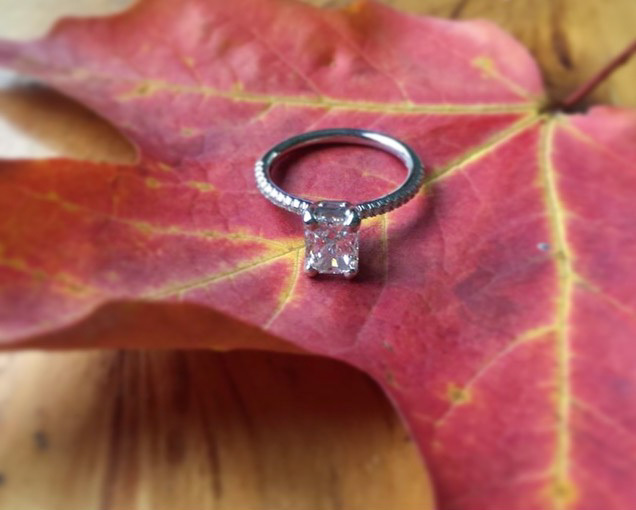 Your fiancé has truly made that moment special, and it will be one you remember forever. I look forward to reading about your upcoming wedding. Keep us updated.